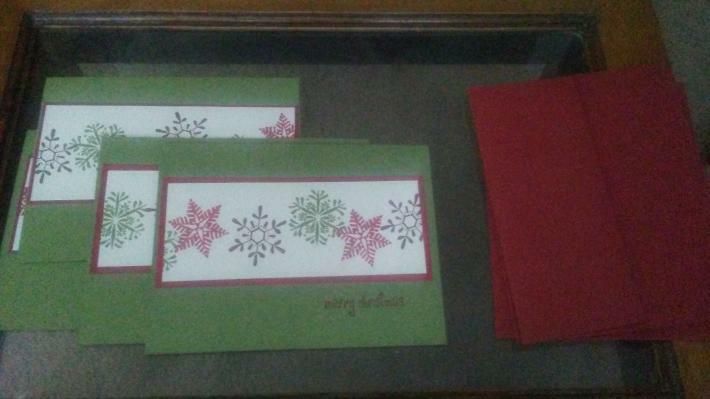 Four Christmas cards with envelopes. 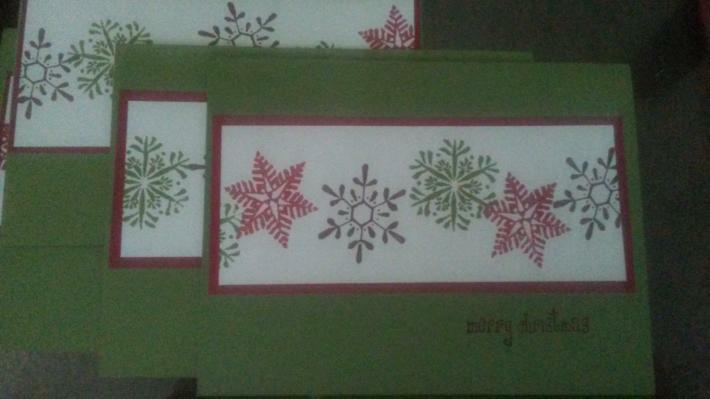 Cards measure approximately (closed) 5- 1/2" x 4- 1/14". Dye ink on cardstock.